ArcherPoint Dynamics NAV Developer Digest - vol 191 | ArcherPoint, Inc.
Saurav suggests, "Use PowerShell ISE. It's easy to use and GUI-based. Cmdlet - New - Service." Kyle responds, "I end up using the SC command when I have mixed build numbers. I have four separate builds of 2016, and the admin shell will only create services for the base (originally installed) build number." Bill asks, "Can Docker help here?" Kyle replies, "An interesting thought. 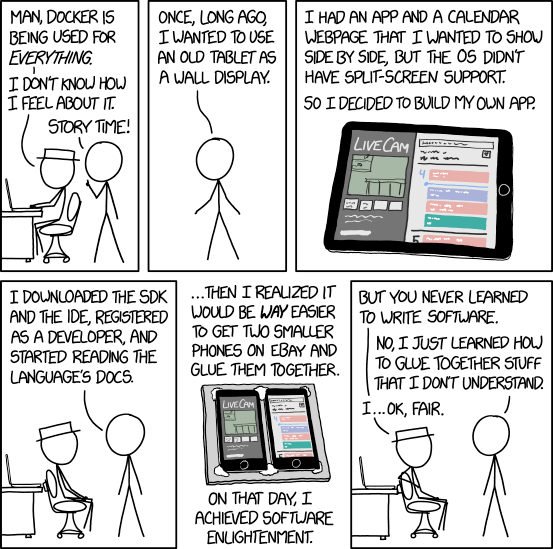 Since docker images are layered... I still have it on my skunkworks list to build a docker image that has no SQL server in it at all. It can just be an NST. But even if I just use Feddy's images, I'd really only have the space taken up by SQL once (unless he used different versions of SQL for different builds). The one thing I have not been successful at is finding all of the installation scripts. Freddy publishes the NAV ones, but not the SQL, dotnet, or OS scripts." Bill adds, "I don't believe each instance of the container would take up more space. In docker the "file system" is the last or one of the last layers. This is where the container would write to and use the common "SQL" layer for each one. And this is one of those things where buying more hard drive is the appropriate trade off if you have space issues."